BLACK STAYS BLACK AND WHITE STAYS WHITE LONGER FOR A FRESH CLEAN SKIN FEELING! Discover the deodorant which protects from white and yellow stains, preventing them from appearing on your clothes and provides reliable 48h anti-perspirant protection. So black stays black and white stays white for longer. Now available with the new fresh and clean fragrance! THINK YOU CAN PASS THE FRESH TEST? WHAT IS IT IN DEODORANTS THAT CAUSES THE WHITE MARKS OFTEN FOUND ON DARK FABRICS AROUND THE UNDERARM AREA?The white residues in the underarm left by deodorants are mainly caused by the anti-perspirant active ingredients – the aluminum salts. These active ingredients are powdery substances which are water-soluble. In water-free formulations, such as most aerosol sprays, they are present as a powder and therefore become easily visible on skin and dark clothes. Even when the aluminum salts are dissolved in water, as e.g. in most roll-ons, white residues can appear on dark clothes after the water has dried off. WHAT IS IT THAT CAUSES YELLOWING STAINS IN THE UNDERARM AREA OF LIGHT-COLOURED CLOTHING? Yellow stains gradually build up from wash to wash. Various factors contribute to the formation of these stains: Anti-perspirant actives, the skin’s sebum and sweat absorbed in the textile interact with water and the detergent. This chemical reaction produces yellow-coloured deposits that remain stuck in the fibers. With every washing the fabric becomes more and more yellowish and inflexible. WHY DOESN’T EVERYONE GET THESE YELLOW MARKS IN THE ARMPITS OF THEIR CLOTHES? Actually, everyone will eventually get yellow stains, if he/she uses anti-perspirant products. The extent to which someone develops yellow stains can, however, differ a lot from individual to individual depending on the composition of perspiration and oil on the skin and how much one perspires. For some people the stains build up very slowly, so that it takes very long until they finally become visible to the naked eye. These people might have impression that they do not get yellow stains at all. Another reason for having this impression could be that someone uses a deodorant which is free of anti-perspirant actives. DOES THIS PRODUCT CAUSE MORE IRRITATION TO THE SKIN THAN TRADITIONAL DEODORANTS? 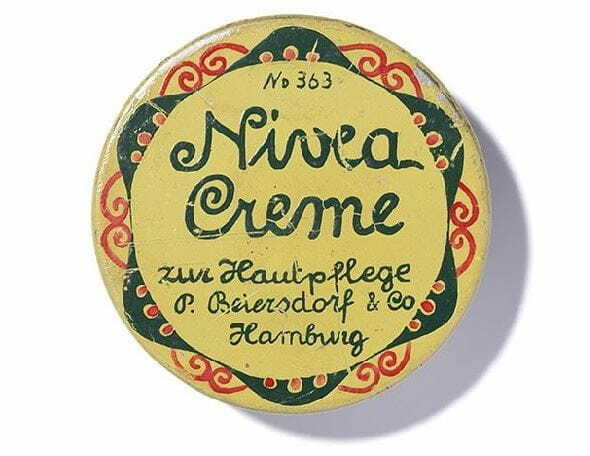 No, as all products the NIVEA Invisible for Black & White products were of course thoroughly tested for their efficacy and skin compatibility before they were launched. In all tests the Invisible for Black & White products proved to be very well skin compatible. WHAT CAN BE DONE ABOUT EXISTING YELLOW STAINS? Citric or acetic acid can lighten the stains and sometimes even remove them entirely. Thus, if you already have t-shirts with yellow stains in the underarm area you can try to remove them by the following procedure: Add 10 tablespoons of 25% acetic acid or 300 ml of 5% table vinegar to 5 liters of warm water. Alternatively, dissolve 12 grams of citric acid in 1 liter of water. These products are available from drugstores and supermarkets. Depending on the severity of the stain, soak the item in this solution for about 12 hours and then wash. Be careful with colored and delicate fabrics and garments with mother-of-pearl buttons, since they will might suffer from the acidic solution. You can use the NIVEA Invisible for Black & White products as often as your normal deodorant/anti-perspirant product. HOW DOES THE FORMULA WORK (AGAINST WHITE AND YELLOW MARKS)? The formula is especially designed to prevent white marks and reduce yellow staining while still giving reliable 48h protection against perspiration and body odour. Against white marks, NIVEA Invisible for Black & White uses a specific anti-white-marks technology: The aluminum salts are dissolved in an emulsion and coated with masking oils that make the residues invisible. To counteract yellow staining, the Invisible for Black & White products are based on a new completely technology which comprises a specific anti-staining compound. This ingredient protects the textile fibers before the stain components can reach and penetrate them. So the stains remain on the surface and can be washed out more easily.